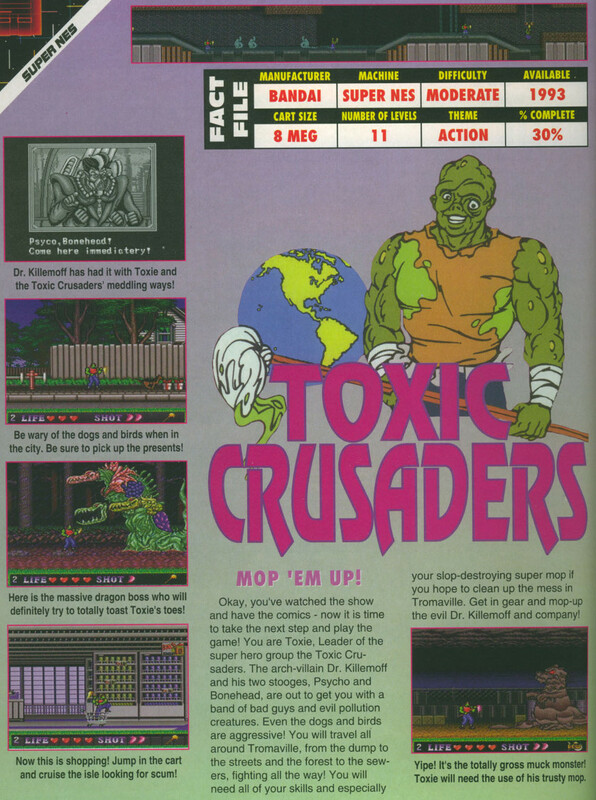 Toxic Crusaders was an unreleased game in development by Bandai. There is a mention that it was in development in the September 1991 issue of Nintendo Power. It was shown at the 1992 Winter CES. There was a preview October 1992 issue of EGM, which appears to show the game in an advanced state of development. It is a side-scrolling platform action game. Preview in the October 1992 issue of EGM.